It's that time again... Birchbox time!!! This month's theme is a collaboration with Lulu Guinness, where Birchbox have added 2 of Lulu's picks and given the box a slight make over in Lulu's honour. I have to admit this is going to be my last Birchbox, I haven't been overly impressed by them this year and this month's box is quite disappointing as their are no full size products and the box really does seem quite empty as the samples are so small, also Birchbox must have forgotten to pop in the 'life lessons from Lulu' booklet as mine is no where to been seen. 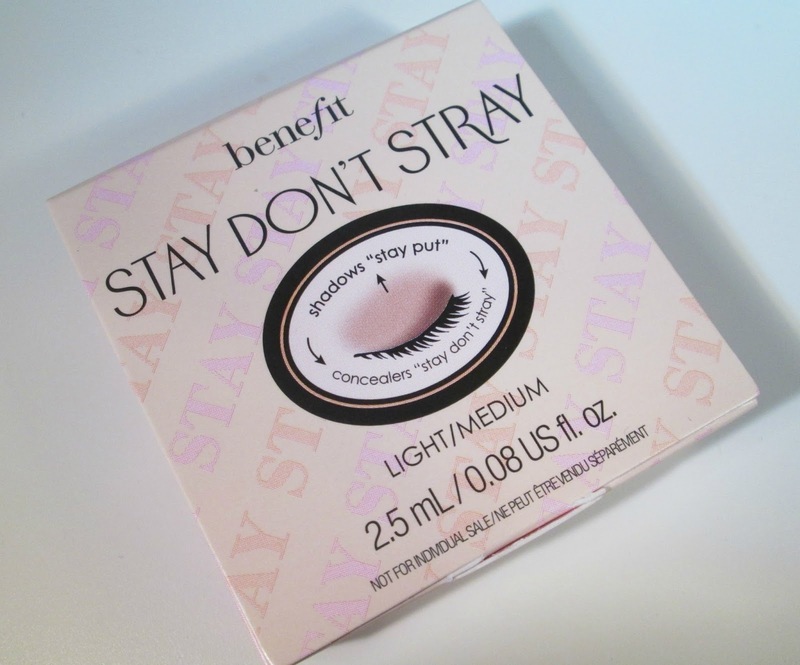 This is the first of Lulu's picks for our Birchbox this month and its probably the most exciting thing in my box too, say hello too a little sample of Benefit's Stay Don't Stray Eye Primer! The primer claims to keep your eyeshadow and concealer in place from AM to PM, so I'm really looking forward to giving this a whirl and considering I have oily eyelids I think I really could 'benefit' from this, just a shame the sample is so blooming tiny! I love Dr.Brandt products, it's a shame they are so expensive as I could certainly see myself using everything from them. This pore refining primer is a favourite of photo-ready celebs, and its sheer formula claims to minimise those pores and absorb excess oil all at once. It sounds pretty amazing right? I have actually used this twice since I received it and so far so good, it applies the same as Benefits POREfessional but has a strong menthol 'vicks' scent to it which isn't the nicest scent in the world, but I'll definitely use the whole sample up as I do like it. As I've said before, I'm really not a huge fan of body oils but as this is only a tiny sample I'll use it up too see what its like. 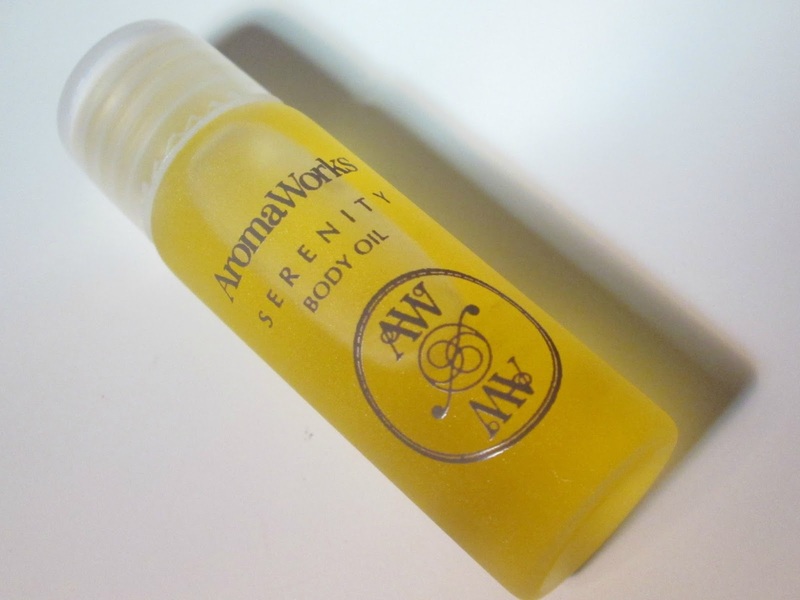 The oil is a blend of lemongrass, neroli, geranium and organic coconut oil, with all of those essential oils combined its supposed to free the mind of the stresses and uplift spirits, ooohhh! 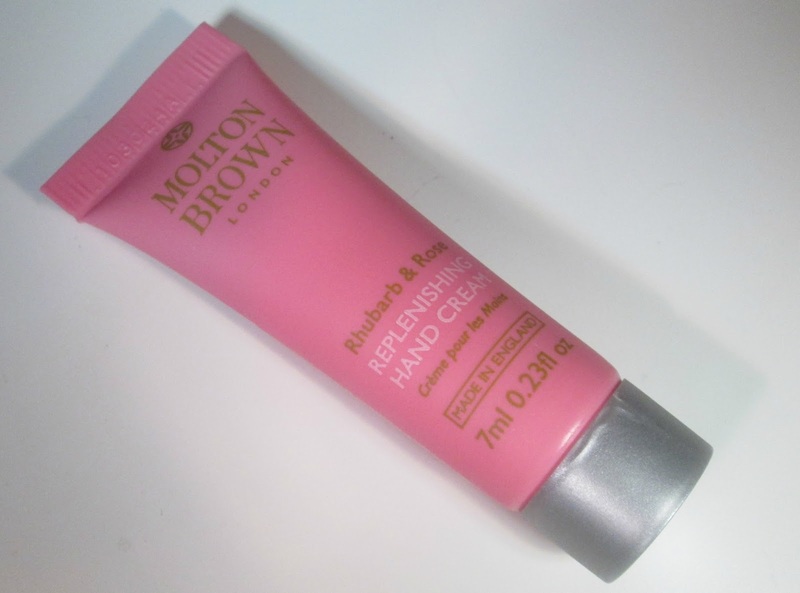 Ohh I love a good ole hand cream and this one from Molton Brown smells absolutely incredible, just like the sugary rhubarb and custard sweets you get in the sweet shop, mm mm! I've actually been after a new hand cream for a while now so I'm looking forward to seeing if this is as good as it smells ha ha. Oh no, the dreaded perfume sample. This is such a pet peeve of mine when it comes to beauty boxes, I mean I could go into Debenhams and spritz perfumes until my hearts content and not have to pay a thing, but oh well. Moaning aside, this does smell lovely and I'll get another 2 spritz' out of it I'm sure ha ha. And lastly is this month's lifestyle extra, and Lulu's second addition to the box, a stick of rock. It's black and white striped design represents the traditional candy shops that inspired Lulu's spring/summer 2014 collection. Mmm I love rock, yum! 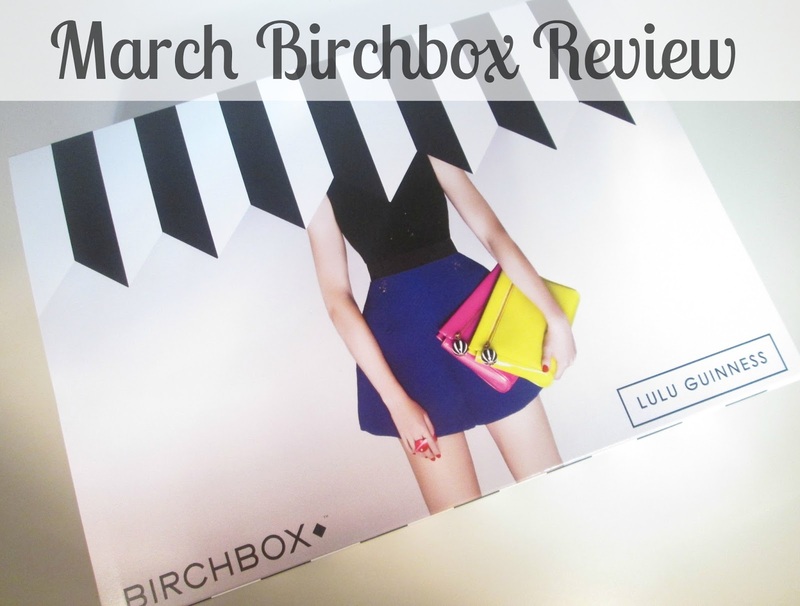 Overall I'm pretty disappointed this month and its made my decision about keeping Birchbox quite easy. It just feels like this months box is really lacking in goodies and to not even get one full size product is annoying too, as much as the Benefit sample is lovely I even think they've scrimped abit on that as its such a tiny sample. What did you think of this month's box beaut's?? Did you get the same as me?? I'd love to know. I have not subscribed to Birchbox because of the reviews of it that I have seen. I will stick to my Ipsy Glam bag!